Joe Williams: Every Day For 70 Years – A 16-page Advertorial in the December 3, 1988 issue of Billboard Magazine included three feature articles (“Every Day for 70 Years,” “The Music Goes Round and Round,” and “If We Asked Them, They Could Write a Book”) and three sidebars (“Smack Dab In the Middle: The Ground Crew,” “Up, Up & Away: The Flight Crew,” and “Did I Ever Really Live”). 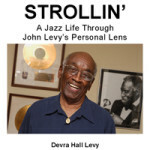 Book foreword by Devra Hall. Hal Leonard Publishers, 1990.